The House of Guitars®,Inc. is located in Rochester, New York and known as the “Largest Guitar Store in the World.” The store was started in 1964 by Bruce and Armand Schaubroeck out of the basement of their mother’s home and quickly became famous for being the intersection of music, art and culture. In the early 70’s, owners Armand & Bruce purchased a historical building in Irondequoit that was formerly known as the Grange Hall. Built in the early 1900’s, farmers of Irondequoit had created a lucrative “market gardening” community & needed a place to gather. The Grange Hall provided social activities for the farming community such as amateur theatrical performances, dances, meetings & more. This historical building would prove to be a great move for the Schaubroeck brothers and remain their current store location to this day. The House of Guitars established some of it’s credibility by stocking the exact instruments played by the Beatles before anyone else. Today the House of Guitars has a prodigious collection of new, used and vintage guitars housed in cases displayed throughout multiple levels. The upstairs sells drums and keyboards and is also the home of the in-house repair shop, Robinson Kustom Repair. There are a number of back rooms that serve as retail space for percussion, amplification, PA equipment & accessories, with a large warehouse in the back selling CD’s, vinyl, DVD’s, t-shirts & more. The walls of the store display thousands of old pictures & autographs acquired from over 50 years of business in the music scene, making it akin to a museum instead of just your normal retail shop. The store also has their own music school with daily music lessons on all different types of musical instruments. A stage located in the center of the guitar department hosts live, free shows almost every weekend supporting both national touring acts and local bands alike. 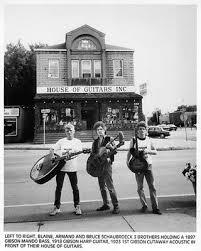 The House of Guitars has become known as a place for professional touring musicians to stop by. 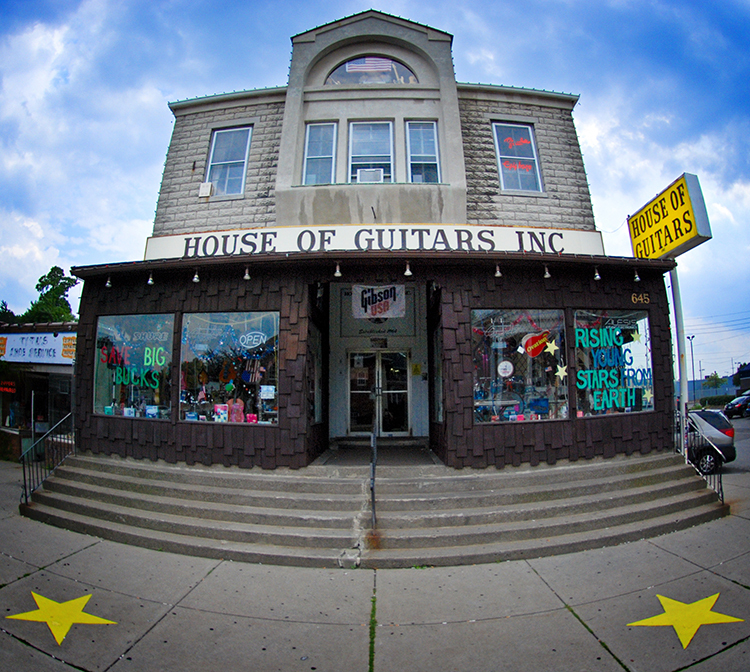 Aerosmith, Ozzie Osborne, Cheap Trick, Metallica, Geddy Lee, Pantera, Motley Crue and Matthew Sweet are only a portion of the major acts that shopped and/or still shop at the House of Guitars.